Physics is the most important science course in high school and preparation for college: more than any other course, it teaches quantitative reasoning. It is the only course where students use math to solve problems and predict outcomes. Taking physics can help students in every other class by applying learned skills such as critical thinking, problem solving, group dynamics, public speaking, and quantitative/qualitative reasoning. With the new AZ Science Standards approaching, physics will play a larger part in a student’s high school education. In addition, physics connects us to our world; it is everywhere. It is the foundation of all sciences and technology -- and is crucial in the STEM economy. "We need many more students taking physics," said Steve Zylstra, CEO of the Arizona Technology Council. So why aren't more kids taking it? 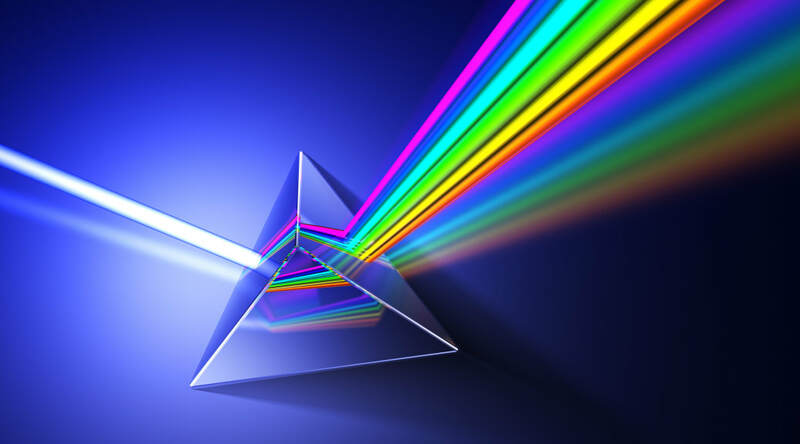 Join us as we explore ways in which you can increase physics enrollment in your school. Facilitators: Melissa Girmscheid, Centennial High School, and Zak Kovach, La Joya Community High School. Where: ASU Tempe Campus, Physical Sciences Building room H-356. Free parking is available on 8th st (see email from Jane Jackson). Covered parking is available for a fee at Tyler St parking structure. See map below and link for other parking options. 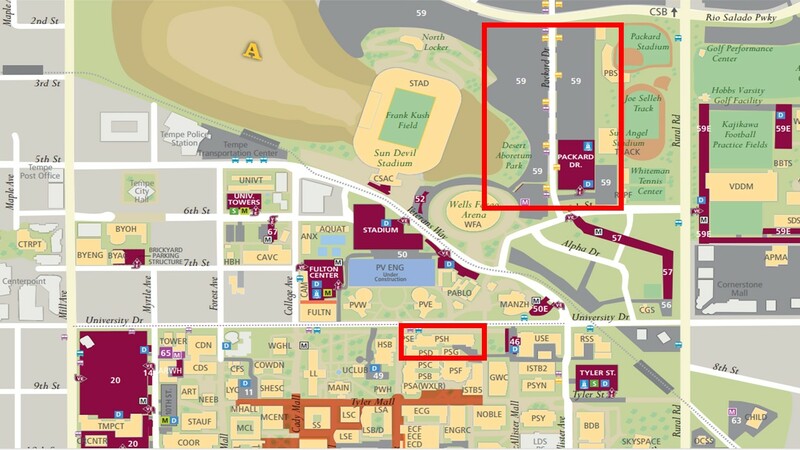 There is an ASU football game later in the day that is messing with some parking options. Sorry for the inconvenience. Cost: $35 for a single person or two for $50 if you bring a guidance counselor, district personnel, school administrator, or other teacher (Pay by cash or check at the door). Receipts will be available for school/district reimbursement. Participants will receive up to $50 of demonstration materials and will also receive four hours of professional development. Please bring something to carry all of your goodies out in! Melissa Girmscheid currently teaches at Centennial HS in Peoria where she has doubled her physics enrollment over the past seven years. She served as a mentor in the ASTA Teacher Leadership Program and is a candidate for National Board Certification. This year Melissa is working with her district to expand physics course offerings in all schools, expanding the number of available courses from three courses to five. She is a Modeling workshop leader and will lead the first Computational Modeling in Physics First workshop next summer. Zachary Kovach currently teaches at La Joya Community High School in Avondale. He grew physics from 2 sections to 13 sections in three years. Zachary has been honored with the AZ Science Teacher of the Year and Physics Teacher of the Year awards. In addition, Zachary is currently working with the AZ Department of Education to help write the new AZ Science Standards. 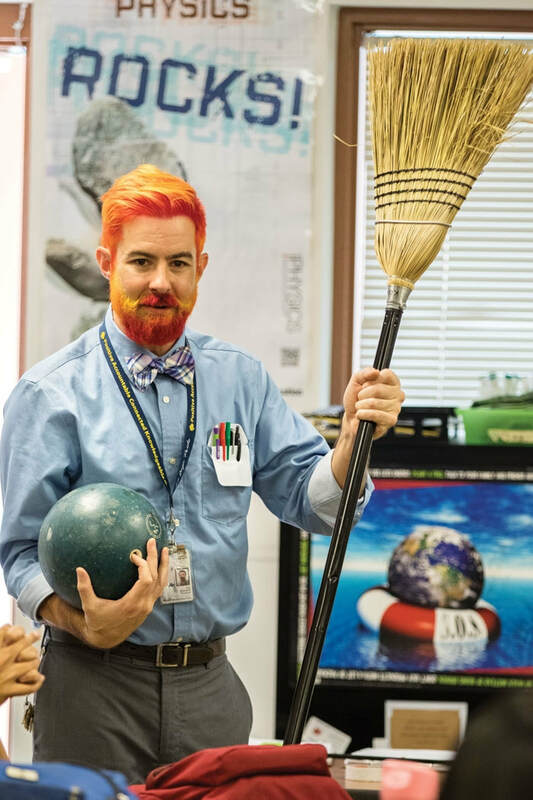 He is also a Physics Modeling workshop leader at ASU in the summer, teaching educators from around the world how to teach engaging inquiry based physics. For additional questions, please contact Melissa or Zak at the emails below.